TGIF everyone! I hope everyone has had a great first week of 2014 and you got all your pesky resolutions out of the way on the first week so you can live off ice cream and pizza for the rest of the year. I try to make sure that my resolutions are simply things that are going to make my life better instead of setting impossible standards for myself. If they are just small things that I can do with just a little more effort I will be better off in the long run. Earlier this week I was lucky enough to co-host The Wombmates podcast with the hilarious Jason Ford. His equally awesome brother James couldn’t join us so I got to take his place in the womb. Jason and I recently went and read all 10 issues of Marvel’s Age of Ultron event and we got to discuss the first 5 issues. We will cover the last 5 next week. 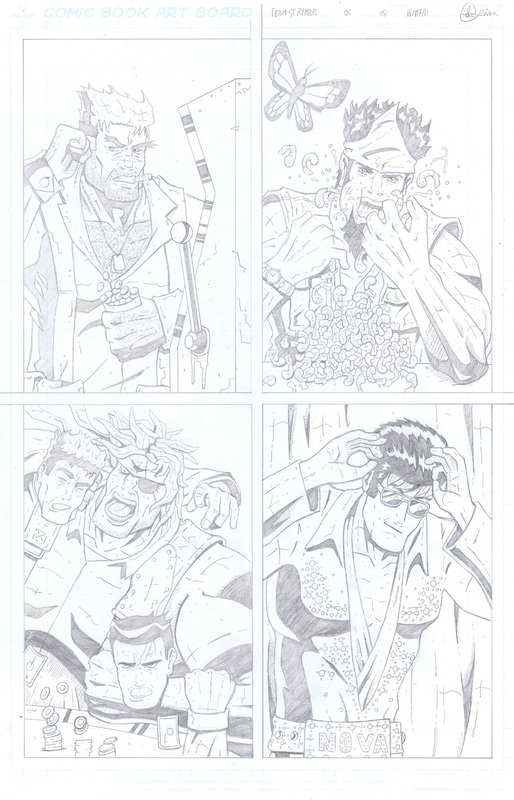 Have a good Friday and be sure to tune in on Monday for the latest page of Team Stryker Mission 005!